In the first two episodes I have covered how you can build a WordPress blog and content creation, I strongly recommend you read the first two episodes before reading this episode if you are yet to read them as this episode is simply a continuation of the other two. In this episode titled “Beginners guide to blogging: Search Engine Optimization (SEO) -Episode 3” I am going to teach you all you need to know about search engine optimization SEO and how to properly optimize your contents for greater visibility in search engines. This is simply a beginner’s guide to SEO so I will try as much as possible to keep it simple so any newbie will easily understand the concept of SEO. What is Search engine optimization SEO? Search engine optimization is simply all the techniques/methods to make your blog more visible in the search engines. SEO simply involves all the things you need to do so that your site will rank high in search engines like Google, Bing, Yahoo, Yandex, Baidu etc. Why does my blog need SEO? I know this has been a bugging question in your mind, but I want to say we should all be grateful for SEO else the internet would’ve simply been one big chaotic place with no order. The answer to your question is pretty simple; SEO is needed to sieve what is relevant from what is not. 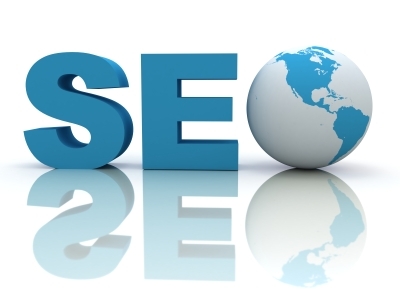 Search engine optimization is what determines the result search engines return for every searched query. How will you feel when you have an assignment to do and you simply type in the question on Google and the results you get isn’t in anyway related to what you are searching? Imagine you searched for food and the results you get are for soccer? Search engine optimization determines how search engines sees your content and rank it, so if you learn the basics of SEO and apply it always to your blog, your contents will rank high on Google and you will receive more traffic to your blog and you will earn more money. Isn’t that the main aim of blogging at first? So won’t you do all it will take to ensure you make money with your blog? How Search Engines Work: Search engine works in basically 3 stages crawling, indexing & ranking as described in this article “How Search Engines Work”. I recommend you read the article to understand in details how search engine works. But before your content can be found in the search engine results you will have to first of all submit your blog to search engines. After submitting your blog to the search engines, the search engine spiders/crawlers will visit your site and index your contents and then decide how relevant it is to your chosen keywords and determine where it will appear on the search engine results. So you see the need to properly understand the concept of search engine optimization SEO and apply it on your blog? Types of SEO: Search engine optimization is basically divided into two – On Page SEO & Off Page SEO. On Page SEO involves all the necessary SEO tricks you need to apply on your blog to get it to rank well in the search engines while Off Page SEO involves all other activities you could do outside your blog to improve its search engine rankings. As much as both are very necessary in building a successful blog, you must understand the need for each and every one of them so as to know when you need one more than the other. You may properly optimize your blog contents you yet rank poorly. Bloggers have always asked which of the On Page SEO and Off Page SEO is more important. On Page SEO: Your first step in getting your blog to rank well lies with On Page SEO. So let me guide you through this concept carefully so you will understand it. The first item on this list is keyword research, you need to choose the proper keyword for every post, and then optimize the post title, Meta description, interlink related posts, use keywords on heading tags, obey the keyword density etc. Read “Keyword Strategies you should practice” and “The Basic Onsite SEO Tips You Should Know”. If you are still interested in learning more about keywords then check my previously published articles about keywords. Off Page SEO: Off Page SEO can greatly improve your blog’ search engine ranking because Google and other search engines consider the way people see your contents. There are over 200 search engine ranking factors and am certain Off Page SEO has more in it. So I need you to understand all the other things you need to do to improve your site. Link Building Basics: Backlinks are important to how good your site performs, some years ago the number of backlinks to a site is an indication of the relevance of its content though Google is trying to change some of that concept. Google is now saying that number does not matter anymore; quality, variety and relevance of the backlinks are what matters now. So you have to learn how to build quality backlinks to your blog. After the release of both the Google’s Penguin and Panda updates, everyone is trying to play safe when it comes to link building and some of the safest ways include blog commenting, guest posting, Social media, press release, forum posting and web 2.0. Here are “6 Types of Backlinks You Should Avoid”, most newbie bloggers make mistakes at this stage. Basic SEO Tools: For optimum SEO analysis of your site you definitely need some tools to achieve that. So I have decided to introduce you to some basic SEO tools that will let you create sites and contents in accessible ways. If you understand your site’s analytics then you can understand both your site’s behavior and your audience’s behavior as well. You can improve your site when you know where and what it lacks and you need these tools for such. Google Webmaster Tools: This tool provides you with detailed reports about your site’s visibility on Google search engine. Other tools you need include Google Analytics & Open Site Explorer etc. With these tools you can gather enough data to greatly improve your site’s search engine ranking. I hope I have explained in simple terms the concept of SEO in this episode. This is the end of the third episode of this series, I will continue with the rest tomorrow. I hope you find it interesting to share your views and contribute to it. If you have any questions, do not hesitate to ask me via the comments or better yet via the contact page. A great SEO tutorial for beginners. You have well explained the points that are are often queries of a newbie blogger. It’s obvious that SEO is really important for all the Website/blogs which can bring us natural traffic from search engines. but the thing is most of the people stuck by getting penalized websites. The reason i believe is improper link building strategy. I know this is a series of articles is for newbiesbut you should mention that the single most important “on page” SEO element Is having your keyword(s) in your blog post’s Title tag as well as mentioned at least once in the body of the post’s text. Without this element, your post will never rank in the top 50 of the search engines for your preferred keyword. great post you have compiled yet again, SEO is the most essential part of creating a blog except the blogger don’t want traffic from search engines. Some bloggers face Google squarely forgetting that other search engines are also. Hello Nwosu, i can’t stop saying this ..”Excellent tutorial with detailed explanation”. Thanks for this awesome series, although the first two seems so easy , this one is always i want. BEcause it’s about the SEO i hate and i want to learn it soon. SEO is really essential for all kind of blogs, as it helps you to get targeted audience and build your brand. However the link building techniques are really crucial now a days. Earlier you can easily get higher rankings by directory submission and social bookmarkings but it’s not possible now. You need to use other techniques which you already mentioned in the article. Thanks for your contribution, its always best to optimize your site for several search engines apart from Google. Thanks Marilyn for your awesome contribution to the discussion. Thanks for your comment, glad you found the series interesting. Thanks Aahna for your awesome contribution to the series. I am glad to be here again today to read your post, i must say it is en eye opener to many and an emphasis to what works well for others, thanks for sharing, i appreciate. Nwosu you hit on the basics buddy. Doing a tiny bit of SEO can make a world of difference, traffic-wise. Learn the basics. Prosper. Thanks for sharing! Wow..Thanks for making very simple to understand about SEO. This the most important part where many bloggers fail. So if we master the SEO, then we can easily rank our sites in search engine and drive targeted traffic to our site. wow, Mavtrevor you have posted a very needed Article here. i have searched many times for this type of article but i finally got here. i am feeling very happy to see this amazing post. thanks again…….! !